It used to be difficult to keep up with it all, but I’ve given myself permission to not get it right every time. I’ve learned over the years that balance isn’t about giving 100% of yourself to everything at all times, rather it’s about pulling back temporarily in some areas to allow you to give 300% in areas that are most important at the moment. Gaynete’ (Edwards) Jones is a leading millennial mentor, motivational speaker, best-selling author, a freelance writer, founder of G.A.M.E. Changing Industries and Youtuber. Having studied the behaviors, fears, and desires of millennials (and being a millennial herself), she is the go-to Goal Chaser to assist this often misinterpreted generation to shine brightly. 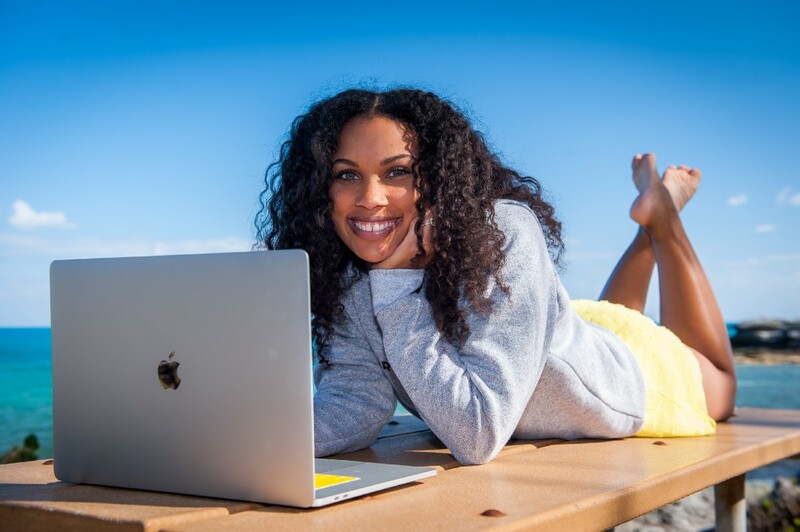 Gaynete’s mission to assist millennial women to turn their passions into profit, creating a life of comfort, fulfillment and freedom for themselves has allowed her to be featured in the likes of The Huffington Post, Black Enterprise, Refinery 29 and Success (to name a few) sharing her stellar success tips. 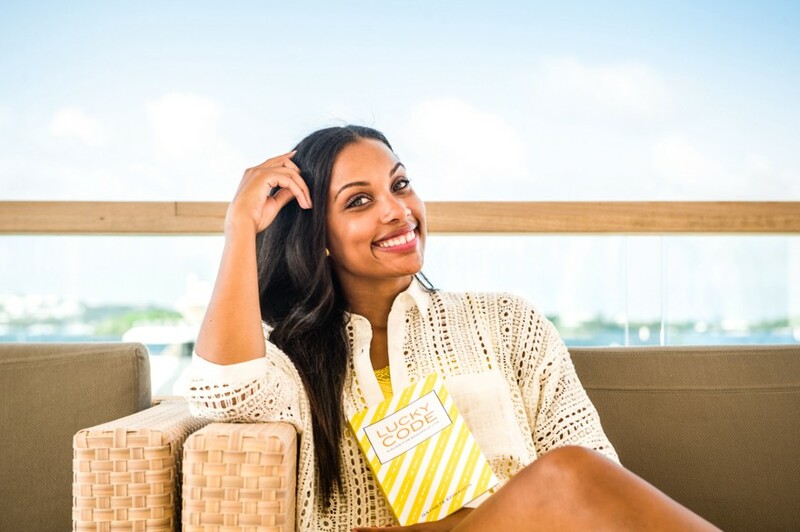 She serves thousands of ambitious women through her newsletter, membership, and programs. Gayneté appears regularly on the radio, on stages as a motivational speaker, and contributes frequently to major blogs where her audience frequents. Thank you for the invitation to share! My world changed in 2005 when I was an exchange student living in Venezuela and was held hostage at gun point by five corrupt police officers that came across the border from a neighboring country. It was then — when my life literally flashed before my eyes that I knew that if I survived, I had a much bigger purpose and that it was my duty to assist others. This devastating event motivated me to once and for all begin brainstorming ways to build my legacy and leave an undeniable mark on this world. Though at the time I wasn’t quite sure what that would look like. I began studying my peers (many who later became clients), and read every book, article and study I could get a hold of related to my millennial generation. It was at this point that I noticed many of the full studies did not line up with the stereotypes that had been formed about millennials. I made it my mission to uplift my generation through inspirational posts, books and passion-focused training. Something I didn’t expect was people taking my photos and using them for their own business –photos of me. It was the weirdest thing. The first occurrence was a photo I took with my book Lucky Code on a Bermuda beach, which I used for my book launch. A relative in New Jersey sent me an edited version of the photo a couple of weeks later. She found it one evening while browsing on Facebook when an ad popped up of my beach shot — except this time, instead of the book in my hand, there was a flyer to an event in her area. I was floored. I typically do not use watermarks because on social they take away from the image and look unprofessional. This event, however, forced me to look at other ways to protect my content and overall brand. I believe that the biggest challenges tend to be personal, as business related problems can be solved much easier. And when they can’t, it’s okay to start over from scratch. When I first started out, my mom was diagnosed with esophageal cancer. I had to keep a strong demeanor for her as she went through surgery, all while writing my book and running my budding business. As soon as she was back on her feet, my dad was diagnosed with kidney cancer and had to have his only kidney removed. With any tough personal situation, I always allow myself time to process (and cry if need be) and talk it over with loved ones. I then look for the platinum lining. I used my parents as motivation for me to push through, knowing that they’d be proud of me for doing so — which they were. With tough business challenges, whether it is a program that isn’t selling as well as I had hoped, or system issues that prevent interested customers from paying (and as a result potentially losing sales), I know that no matter what happens, there is often a fix, and where there isn’t one, an opportunity arises to take on a new challenge. Whether in my personal life or in business, I truly believe that it always gets better and better, so if something is going terribly wrong in one moment, I know it’s temporary and simply making way for a whole lot of great moments to come. I believe leadership is about encouraging others to find their own voice and assisting them to figure out how to do things successfully, in a way that best suits them and their needs. I encourage everyone that I work with to learn how I do things, and to take what works, and tweak what doesn’t. There is no one-size-fits all in business or life. A successful leader is one who creates other leaders that produce results by doing things in their own unique way. My husband Dean has been a driving force, assisting wherever he can with my busy schedule and projects. The simple offer of take-out for dinner makes my day. My daughter is also helpful as she is always a constant source of inspiration. Lastly, virtual mentors are amazing. Sometimes we are not able to converse frequently with likeminded business people, or those who are steps ahead of where we currently are. For this reason, getting into the minds of greats like Oprah and Richard Branson through their books and interviews is priceless (or experts like Marie Forleo and Lewis Howes through their programs). I also love listening to podcasts such as Pat Flynn’s Smart Passive Income, Amy Porterfield’s Marketing Made Easy and Katherine Zenkina’s Manifestation Babe, amongst many others. As a millennial mentor, author, content contributor for a major online publication, public speaker, business owner, mom and wife, my schedule can get quite hectic. On top of all of this, I’ve recently landed a literary agent for my new book with whom I’m prepping my book proposal to go out on submission soon and my 12 year old just launched her own business that I’m assisting with. It used to be difficult to keep up with it all, but I’ve given myself permission to not get it right every time. I’ve learned over the years that balance isn’t about giving 100% of yourself to everything at all times, rather it’s about pulling back temporarily in some areas to allow you to give 300% in areas that are most important at the moment. As an example, ordering take-out saves me an hour of cooking during weeks I’m more swamped than normal. Hiring a cleaner is also beneficial. As a family, we always eat together and I schedule important QT like weekly games nights. I find myself up at 4am many mornings working to avoid interrupting family life too often. This usually means, however, that by 9pm I’m spent. The most important thing is having an open line of communication with loved ones to let them know what you have on your plate and that you care, but to also manage their expectations during the days you will not be as readily available due to certain deadlines. I find it the opposite actually. Because I’m working on things daily that bring me joy, I make a conscious effort to include other things that make me feel good (family time, eating well, reading, etc). It is when I was working doing something I didn’t enjoy that I found it more difficult to focus on other areas as I wasn’t in the right headspace. One area I can certainly improve on is calling to check on close friends more often. This is something I am working on. Luckily my friends are amazing and very understanding. Prioritize — not ground breaking, but a necessity. Not everything deserves your attention at every given moment. Also, always be mindful of the things that matter most to you (for me that is relationships and freedom). I tend to look at life with what I like to call a ‘Death Bed Perspective’. That is, if I knew I had a day, week, month, year left to live, how would I change what I am doing in any given moment? I begin doing those things I ‘would do’ in the now, as they’re most important and often help with solidifying a legacy. Make that call. Free up the time for QT with loved ones. Book that dream vacation. Send that email. Create that product. Say no — often. The word ‘no’ can become your greatest ally. In order to make room for the things that will really push you forward, you must be selective with what you take on. Also know that not all invitations to participate in / attend an event are the best fit for you. Some ‘opportunities’ are best witnessed from the sidelines. Get up early and start your day on the right foot by creating a morning routine to keep you organized and in good spirits. Starting the day early also allows you to begin working on important business matters prior to loved ones awakening, so that when they do rise you can give them your undivided attention. Turn off notifications. Email and app notifications can be a killer of productivity. Often we think we do not have the time to do everything we need to do, failing to recall the many times we picked up our phones and scrolled for minutes (or hours) on end. There is an app called Moment that I used to show me where I was spending my time (how many times I opened an app and how long I was on each). This was game changing. Schedule the time to check your email — (once in the morning, noon and evening may be beneficial) and if you find yourself scrolling meaninglessly on timelines, schedule time to check your social media as well. And a bonus, my final suggestion is to communicate openly with loved ones to manage expectations during the times you are extremely busy and to be fully present when you are with them. This shows them that you care and prevents unnecessary stress and strain on your relationships. Knowing that my daughter is watching me go after my dreams gives me the greatest sense of accomplishment because children emulate what you do in front of them, not necessarily what you say to them. There is nothing I want more than for her to grow up as a kind, independent-thinker who goes out and does what brings her soul joy, while assisting the world around her in some way. There are so many existing movements that deserve attention — the violence and discrimination against people of color, the feminist movement, saving our oceans and forests, the mistreatment of animals, etc. If I could inspire a new movement, however, it would be for everyone to have the courage to explore and work on what it is that they are truly passionate about, while not causing harm to other living people and things. Until we value and respect the world around us, the human race will not know true peace. I’m an Instagram regular @gaynete. I’m also on Twitter @gaynete and on Youtube and Facebook under the same name.